Since my very early days of Open Source contribution, that goes back to my early days of college life, Red Hat had been my dream organization! The reasons behind this was probably many. During those initial days of my Open Source journey, I had been inspired by many Open source advocates and most of them were Red Hat employees. Also, many of the events that I had attended during my early college days used to be held at the Pune Red Hat office. Well, as long as I had this dream of getting the appointment letter from Red Hat, life was exciting....but somehow I never thought how would I react once I had it! On Monday, when I walked into this office building, I was just as scared as a child, when he (or she) is going to school for the first time. Things then happened one after the other...each one more exciting than the previous one! 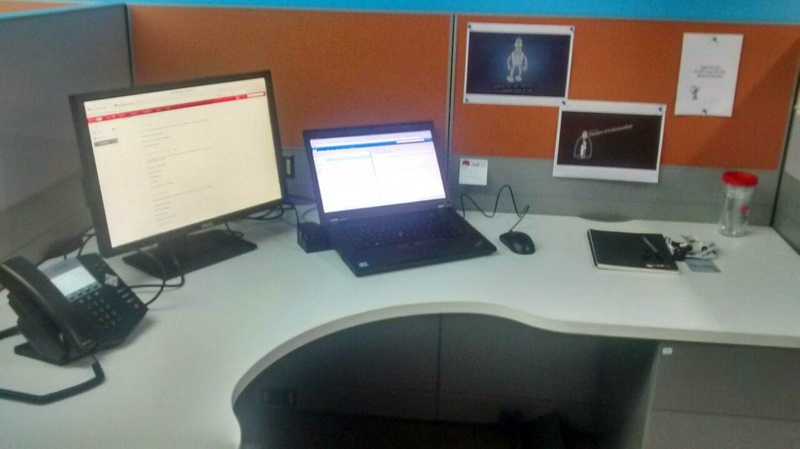 New people, new space, new desk, new laptop, new monitor, new desk phone...and finally introduction to some new work. Wait, did I flaunt about the welcome kit? Its like a complete package...with all the stationary one could need at office. Well, I love stationary...and as a friend of mine did rightly say, it was indeed Disney land for me. Can't speak much about the work, since I have not done much yet....but definitely the people and the place is just what I had dreamt about! In the last 8-9 months of my life, I have gone through some of the most beautiful experiences of my life, which has helped me grow, personally as well as professionally. Now its time to move on, implement those learning in making something bigger. Scrollback had given me a new identity. I probably got famous on social media like never before! I could never refer to it as just another organization I worked for and it will always hold the same place in my heart. But just like all good things should come to an end, this journey also needs to. I am leaving Scrollback in a week's time. 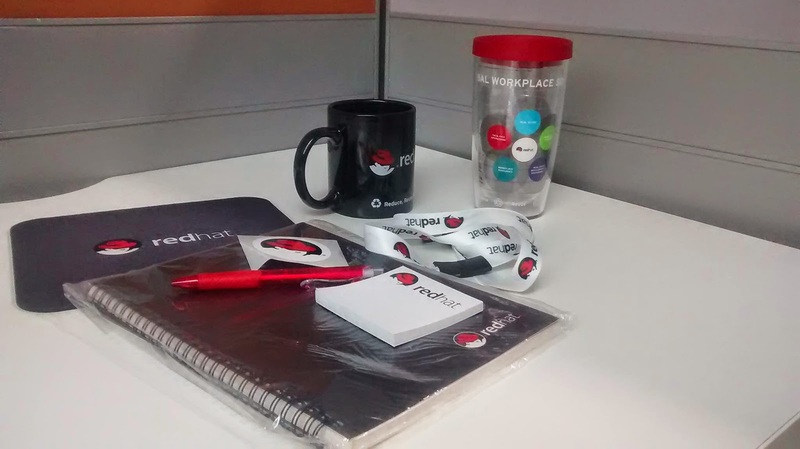 I am joining Red Hat and moving back to Pune. This was never an easy decision. I have always loved Scrollback, as a product, as an Open Source community and of-course, most importantly, I have loved the work I had been doing and the people I had around me, to always guide, support and help me. My career graph, if we plot it now, has a lot of ups and down. I have worked as a PHP developer in the initial 6 months of my work life, before moving to Scrollback as a Technical Evangelist. Somehow, I couldn't do much evangelism here. With the need of the organization, I moved more into community management. But, well, no kidding, I am not getting any younger and need to start thinking of building one profile, in any one domain, which I can sustain for the rest of my life! When the Red Hat offer came across, I saw it as an opportunity to experiment with another new profile and see if this can be the one which can ultimately settle me down. Its tough (well, I would like to believe impossible) to take the Scrollbacker out of me now....its too deep in my blood. I will always keep contributing to Scrollback, in all possible ways. I will be joining Red Hat as a Technical Writer. There are a lot of reasons behind my decision to join Red Hat, out of which I guess I have already told the most important one, experiment a different profile. Another big reason is the fact that this offer came from Red Hat! Red Hat has been my dream organization since my early days of college! This Open Source organization has a constant reputation of hiring really cool people, and giving the ultimate work environment, along with the required freedom both at work as well as to maintain the work-life balance. I had wanted to join the cool gang for years and finally got the chance now! This paragraph is unnecessary. Its only for all those who have been hearing (or spreading) rumours around this decision of mine. So, if you are not one of them, feel free to skip it. My decision was not influenced by the fact that the offered job location was Pune. I love Pune as a city, I never disagree to that, but, had the job location been the remotest village in India (or any part of the world), things would have not changed. Also, I am not taking this job because my "believed" boyfriend is at the same office! Trust me, even if that was true, I don't take career decisions based on emotional influences! Having said most of the things, just to let everyone know, I am going to continue all my Mozilla activities the way I have been. Rather, I will be taking up a few community responsibilities again, since I am moving back to Pune and I have worked way more closely with this community than the Bangalore community. I will also continue contributing to Scrollback as a volunteer, so in-case you need to reach out to me for any Scrollback related queries, I am still available.